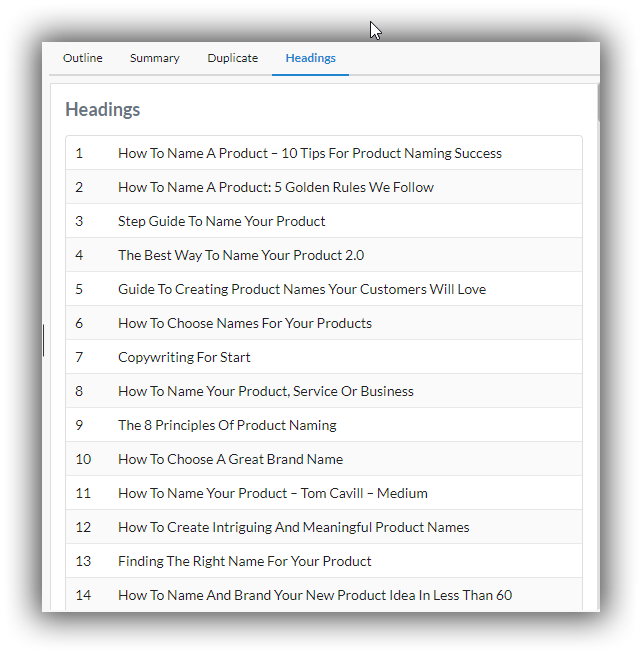 Article Insights now gives you headings research. The tool will find and collect all H1, H2, H3 headings and subheadings it finds in content. You can find headings research from the menu button located at the top of the screen. By clicking on this button you get a window popup with all the found headings. What can competitor headings tell us? 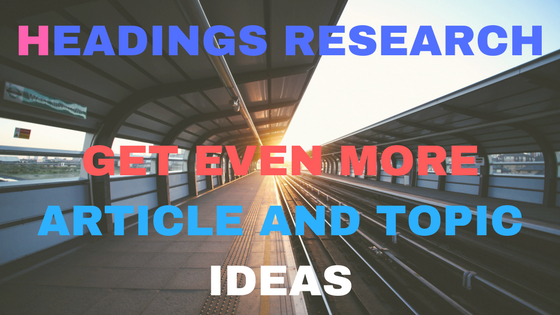 In addition to the keyword & topic research already available, headings can give another lead on what to write about or what to explore. NB: If no headings are available, you just need to re-add the keyword as the data isn’t available for older keywords.